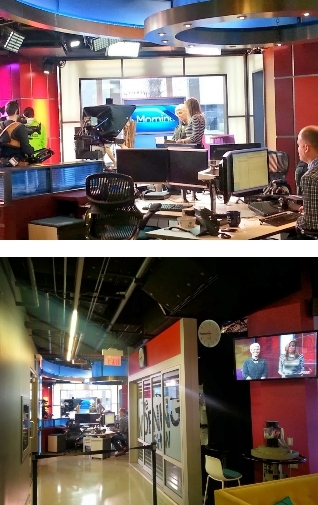 I was recently on Global Morning Show taking trends for 2014! 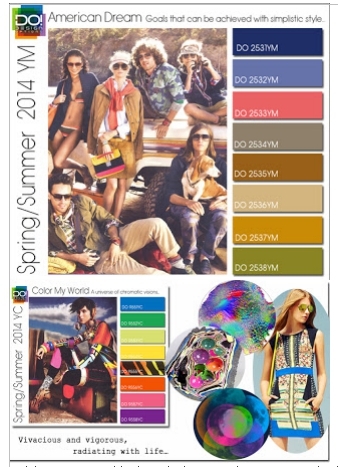 2014 brings masculine influences with cool textures and a monochromic overture to the mix to create a romantic whimsy. Be prepared to see dark kitchens and navy blue walls making a comeback. 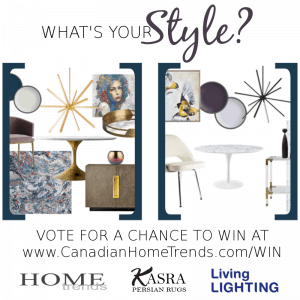 You are probably thinking this all sounds exciting, but how do you take it from a fantasy to a functional space in your home? Follow these tips to help add a little trend to your 2014 space. 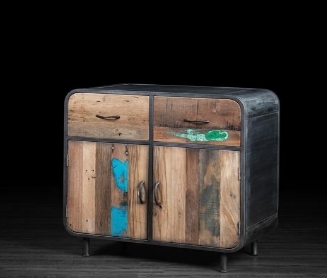 Consider a piece with a story – Salvaged, recycled and upcycled wood accents continue to grow in popularity. You can find some great pieces at Artemano. Recycled railway wood that has braved the rain, heat and passing of time is sure to be a conversation starter! 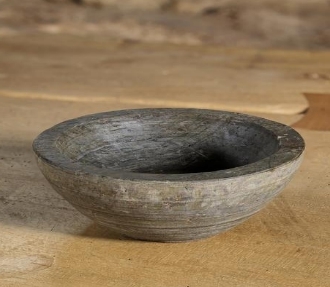 They have a great collection of smaller accessories, such as candle holders, bowls or trays that are made from wood from recycled buildings and bridges and would certainly add a touch of whimsical to your décor. 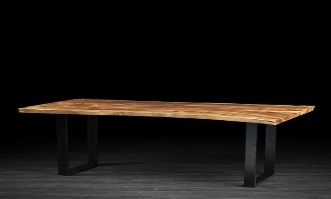 They also have some amazing live edge tables, which is another must have trend this year! Add a little splash to your back splash – Kitchens are the staple of the house and more than ever they are looking to stand out this year. Adding a new backsplash can change the entire look and feel of your kitchen. Made in Canada, Smart Tiles are an ingenious new budget-friendly brand of tiles that are easy to work with. 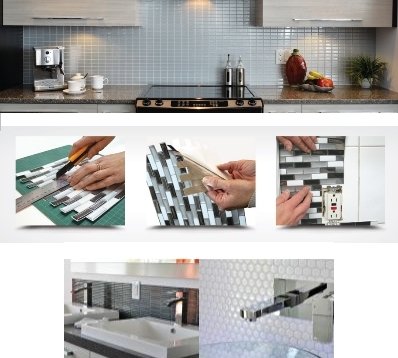 They are self-adhesive and very easy to install, so even if you aren’t a pro, you can add a new backsplash in 2014. Why not add tiles to an entire wall in your kitchen or bathroom, which you will see a lot this year, and if you can do it on a budget with Smart tiles, even better! 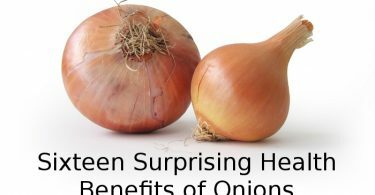 They come in a range of styles and colours and are also easy to remove – which means you can change the style as often as you want. Team it up with a coloured faucet for a really fresh and trendy look. 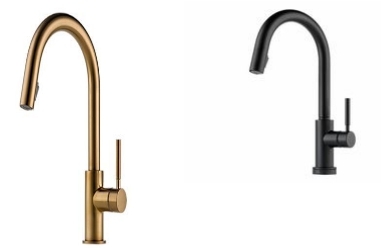 Gold and Black faucets will be sweeping the kitchen front! Think masculine when purchasing your jewel for the kitchen. 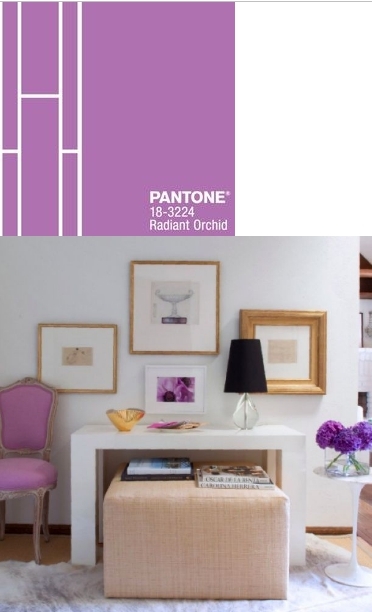 Touches of colour – The 2014 Pantone colour of the year is Radiant Orchid. 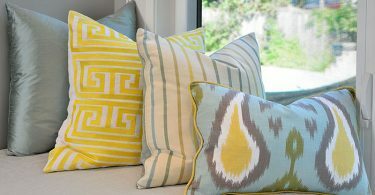 This colour adds a soft but fun touch to any space. I personally am not a huge fan of this colour but in small ways like pillows, bedding and even a few accessories it can be very stunning. If you are really bold, paint an accent wall, or even an entire room. 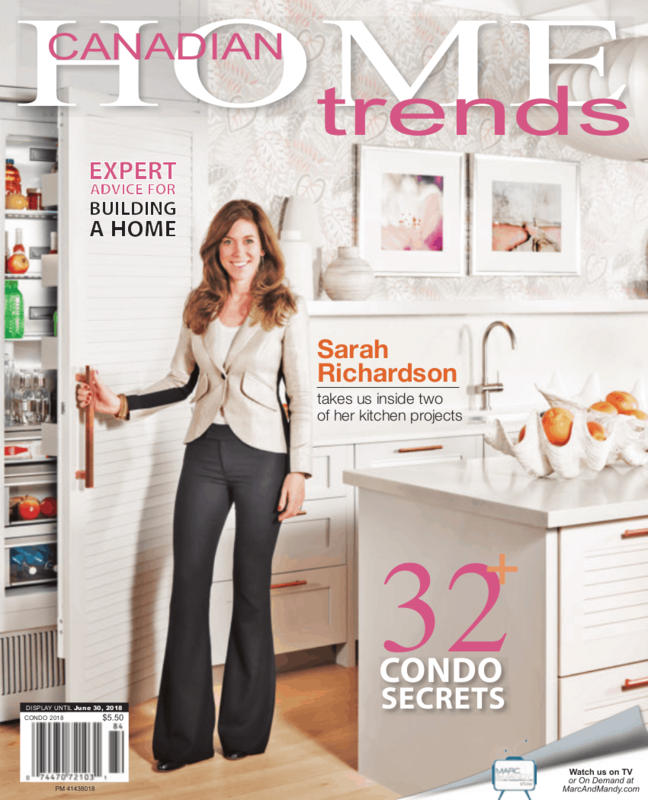 This year, will also be seeing a lot of dark blues, which I love, navy blue cabinets and walls are coming back! Yellow and deep oranges will also be popping up. 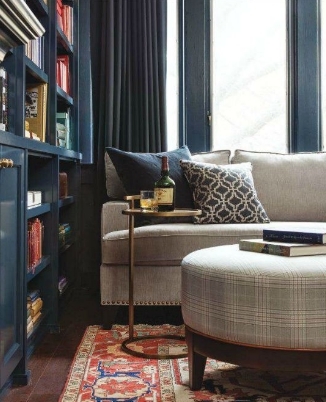 Every year a new trend appears; however don’t feel like you need to redo every room completely; the best way to keep up with the trends and save your wallet is to add the trend you love in a small way. 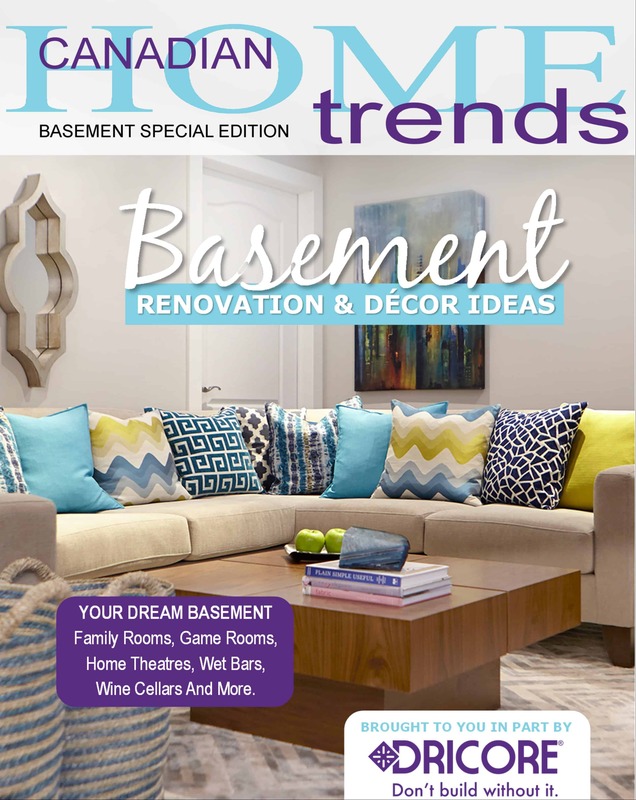 Trends are made to be fun so enjoy this year’s new design approach!